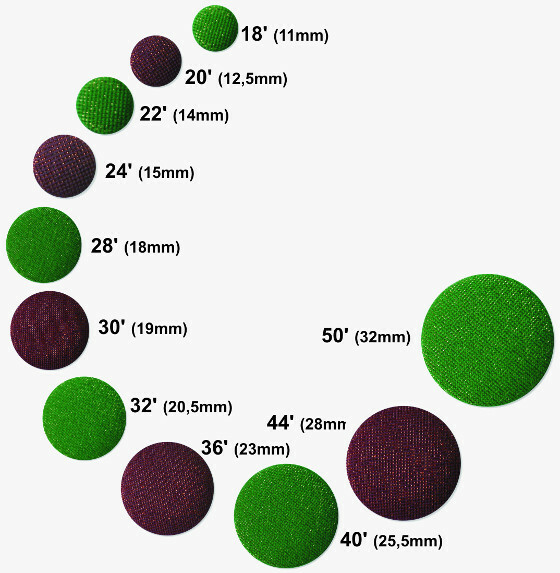 Plastic shank back buttons are used primarily in the clothing industry. They are perfect for light garment, such as shirts, skirts, dresses, as well as for outwear clothing: coats, jackets, woollen clothes. Often used to finish wedding dresses. May be covered with any fabric or knit. 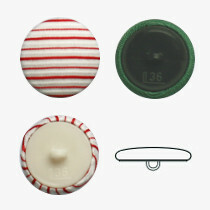 The buttons are made of aluminium cups and plastic caps. The caps may be black or white.